The Singleton of Glen Ord, kick-starts the World Whisky Day celebration through an exclusive tasting session at Co-Working Space, Colony KL. The exclusive event brought great flavours, ideas and young entrepreneurs who thrive for success together as they explore the rich and rewarding taste of the whisky. 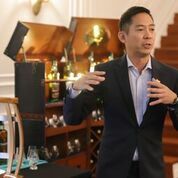 Jeremy Lee, Brand Ambassador of Diageo Malaysia, hosted guests to share knowledge on Scotch whiskies, particularly The Singleton through its variants including the 12 Year Old, 15 Year Old and 18 Year Old. The variants won the hearts of the guests as the whiskies were praised for its rich, smooth and perfectly balanced flavours, giving them a fulfilling drinking experience as they unwind for the evening. In conjunction with the global whisky celebration to cultivate the love for whiskies and its flavours, guests were given the opportunity to explore a new taste experience with The Singleton. 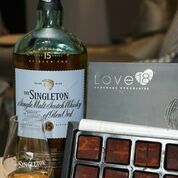 The session allowed them to pair the whisky with specially Singleton-infused handmade chocolates handcrafted by Love18 Chocolatier, the Itakuja Chocolate and Japanese Nama styled Chocolate. The Japanese Nama styled Chocolates were made with Callebaut Belgium Dark chocolates, while the Itakuja Chocolates, which was showcased in Malaysia for the first time, is made of Varlhona single origin chocolates from Brazil and double fermented with passionfruit, making it one of the most priced chocolates around the world. In efforts to continue the celebration of great taste and Scotch, whisky enthusiasts and new entrants alike can embark on the journey of taste with The Singleton throughout the month of June through Diageo’s #LoveScotch platform. There will be a series of upcoming collaborations with local artisan purveyors that is set to arouse and tantalize consumers’ taste buds with every sip. Consumers can also look forward to the #LoveScotch Festival that is set to celebrate an array of flavours together with The Singleton.